This year we were blessed to have 4 experienced moms share their family Christmas traditions with us. They shared some educational traditions, some easy traditions, and even some tradition fails! Above all, they each reminded us to give ourselves grace. Don’t stress. The best traditions are simple and short, especially if you want to keep your littles’ attention. Here’s a quick overview of the traditions they shared and a few extras, too. Take a moment and share your favorite traditions with us on Facebook! 25 Pockets with the Names of Jesus: 25 pockets made out of fabric or paper, displayed around the house or mantel, each with a different name of Jesus (and sometimes a surprise). The Word, Lamb, Savior, Light of the World, Prince of Peace… Age to start: 1 or 2 years old. Family Advent Wreath: A wreath with 5 candles. One for each of the 4 Sundays before Christmas and then one for Christmas Day. Maybe keep it on the kitchen table or dining room table. Here is an example of one family’s Advent Wreath from the Houston Moms Blog. Age to start: 1 or 2 years old. On Christmas morning, talk about the reason we get/give gifts. Gifts symbolize God’s greatest gift – Jesus and how he leads us to eternal life. Have each child pick one gift that they receive and unwrap on Christmas morning, to give to a family in need. This gives you the opportunity to explain to children that we don’t just give away our leftover, used toys that we don’t want anymore, but also our new and highly-desired toys, because God doesn’t give us His leftover blessings – He gives us His best; He gave us His only son. Age to start: 3 or 4 years old. Decorating the Christmas Tree on a specific day (like Saturday after Thanksgiving). Any age! Our Jesse Tree (or make one with your kids). Any age! Instructions: At night, hide treasure boxes in the house. Turn off all the lights. Hand kids the “can of darkness.” Tell them to use the can to find the treasure. When they can’t (because all the lights are off and the dark can doesn’t help you see in the dark), hand them each a flashlight which will help them see in the dark to find the treasure. Moral: Darkness doesn’t take you to the treasures of heaven, only the light of Christ does. For more advent activities, check out James Dobson, Christ in Christmas book including activities and songs. When I was growing up, there were a lot of years that my mom and I didn’t have extra money at Christmas time. Being a savvy single mom, she incorporated some traditions that were easy on the wallet. Epiphany Gifts: One year she told me we were exchanging gifts on Epiphany (Jan 6, also called Three Kings Day) because that’s when the Wise Men brought gifts to Jesus. Turns out her actual motivation was hitting After-Christmas Sales! Santa Brings the Christmas Tree: When my mom was growing up with 8 siblings, they were also tight on money. Their tradition was that Santa brought the Christmas Tree, which meant my Grandpa could get one on sale on Christmas Eve! He and my Grandma must have stayed up all night decorating it! So what are your favorite Christmas traditions? Which ones have you tried with your littles this year? Did you have a #everydaytradition that turned into a #traditionfail sometime around December 7? Or December 2? Share with us on Facebook in The Ridge MOPS private Facebook group using the above hashtags! Above all, remember the tradition your kids will cherish the most is a non-stressed mom who rests in the love of Christ knowing the perfect Christmas has already happened. It’s not in the perfect presents, or perfect decorations, or perfect meal. The perfect Christmas already happened when Jesus was born. Debbie Cannon sent this idea to me and said that her neighborhood does this sweet little “BOO” tradition. I thought it was a neat idea and a way to get kids excited about blessing another family as a kick off to the holiday season! The instructions are below. I must give the blog www.skiptomylou.org the credit for this one. The blog has some great creative family ideas worth checkin out! I’m not sure I can take on getting my whole neighborhood on board with this…at least not this year. BUT…I do know of a few families on our street who need a little cheer up! I think at the very least…this could be a new Halloween family tradition. We will be preparing a little treat, a kind note and some home made goodies for two families. Then, pray for them before dropping off the loot. I’m interested to know….any other mom’s have some Halloween traditions that incorporates their faith? 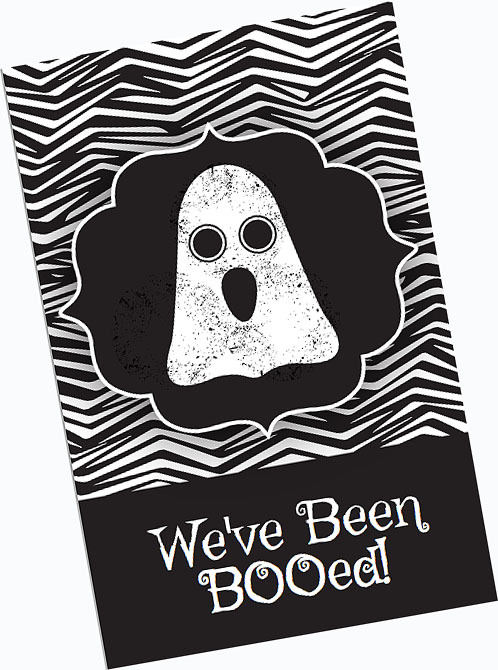 Here you go, a free printable how to boo! We love to boo! Each year we come up with a new way to go booing. 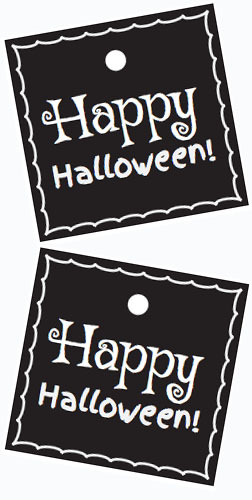 This year we will use this simple boo sign complete with instructions and gift tags. First make two copies of the booing instructions. We copied ours on cardstock. Once you have your copies, cut apart the ghost and hang on your window so everyone knows you have already been booed. Gather some fun treats for two friends, anything will do. It might be a basket or bag filled with activities ( pumpkin carving items, stickers, small game, Halloween decorations etc). The dollar store can be a great place to find things. A plate of homemade goodies is another nice gift. Cut out and attach the gift tags. Now you are ready to sneak over to your friend’s door and ding the doorbell and dash– before anyone sees! These are the notes from Phyllis’s talk last MOPS meeting. We would love to hear your comments on great vacation ideas and tips from your family! stickers on the map with each color to represent which trips she took. After a child’s wedding, parents need a honeymoon trip! -go to all children’s friends weddings-make a trip out of it! Please tell us your tips on traveling with your families and great places you would recommend!